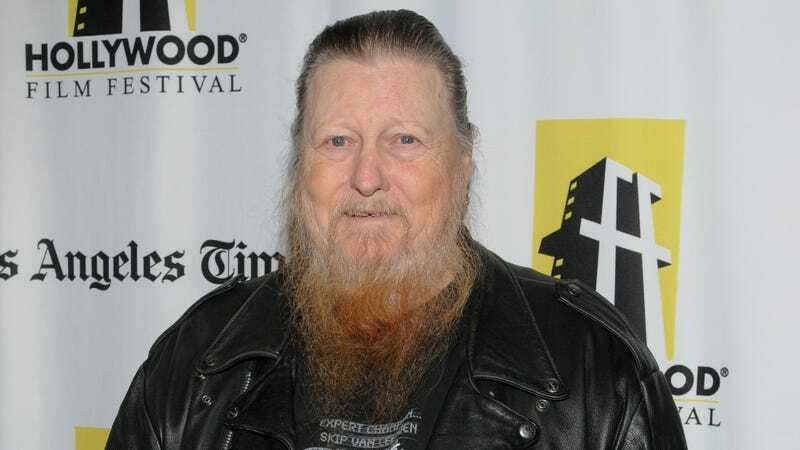 As reported by Deadline, character actor Mickey Jones—best known for popping up as a bearded biker or grizzled blue-collar man in loads of movies and TV shows—has died. A rep for Jones confirmed his death, saying he had been suffering from a “lengthy illness.” Jones was 76. On TV, Jones had a recurring role as Pete Bilker on Home Improvement, appeared on the ‘80s sitcom Flo, and popped up on M*A*S*H, Baywatch, Justified, and It’s Always Sunny In Philadelphia. His most recent role was on Adult Swim’s Newsreaders in 2015. He also had memorable roles in the original Total Recall, National Lampoon’s Vacation, and Sling Blade (where he appeared alongside his friend Billy Bob Thornton). As the Deadline story notes, Jones also had a similarly successful career as a musician, even though he didn’t become as famous for it as he did for his TV work. Jones was a drummer for a number of popular ‘60s musicians, including Trini Lopez, Johnny Rivers, and Kenny Rogers’ The First Edition. He even went on tour with Bob Dylan, playing drums at the infamous 1966 Manchester Free Trade Hall concert during which an audience member called Dylan “Judas”—supposedly because Dylan was playing an electric guitar, at least according to the legend. It was actually Jones’ music career that led to his transition into acting, as The First Edition had its own variety show in the ‘70s. When the band broke up, he simply decided to stay on TV.